Street Tree Inventory is a configuration of Collector for ArcGIS that can be used by public works field staff to inventory street trees planted within the public right of way or actively managed by their organization. The Street Tree Inventory map helps public works staff develop a comprehensive inventory of public trees; and prepare this information for related maintenance management workflows. To deploy Street Tree Inventory with the ArcGIS Solutions Deployment Tool requires specific software. To manually deploy Street Tree Inventory in your organization requires specific software. Map Street Tree Inventory A map used by field staff to inventory traffic barriers, benches, fountains, waste receptacles, and other pieces of equipment installed along streets and roads. Feature layer Trees A feature layer used to store trees planted within the public right of way and actively managed by Public Works and other local government organizations. Below are the release dates and notes for Street Tree Inventory. 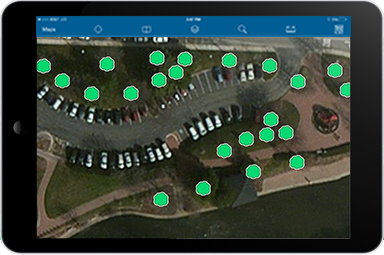 Street Tree Inventory can now be deployed in your ArcGIS organization with the ArcGIS Solutions Deployment Tool.